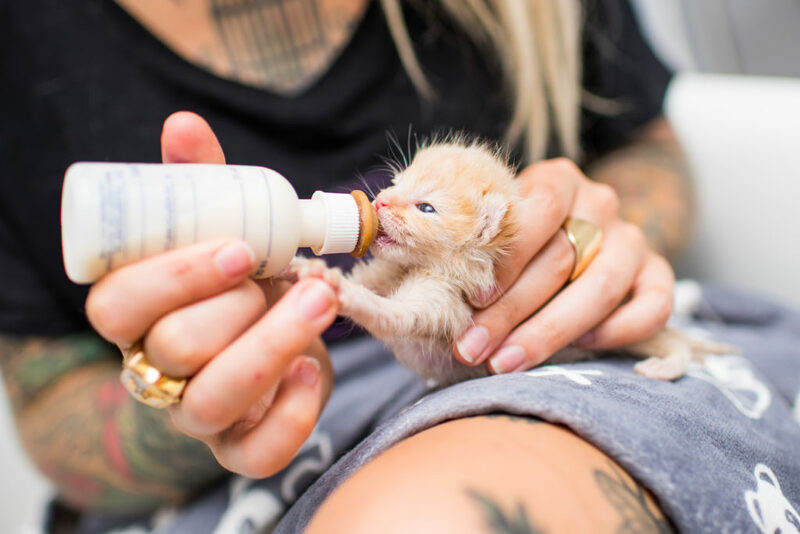 The Orphan Kitten Club kitten nursery is dedicated to saving the lives of preemie, newborn, and special needs kittens. 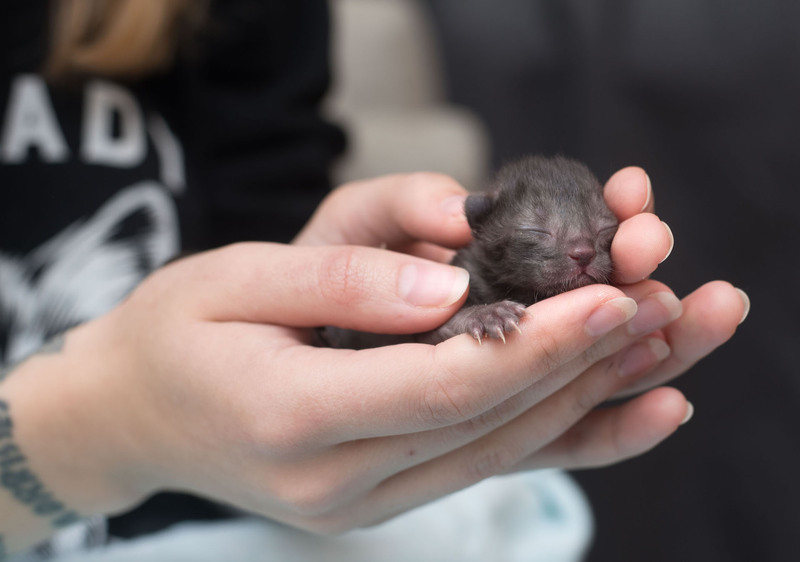 We provide 24-hour care, expert medical support, and a loving and enriching environment where kittens can truly thrive during their first two months of life. Once our kittens are healthy and at least 8 weeks of age, they are available for adoption in the Southern California region. 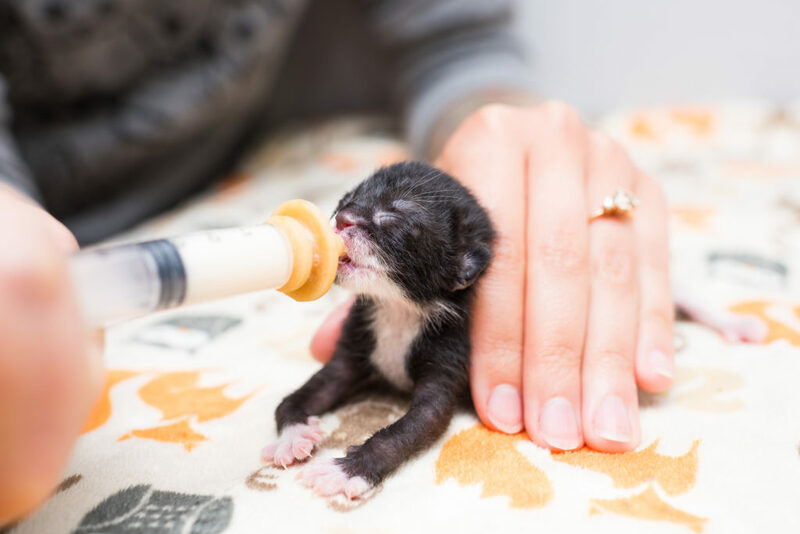 We’re saving the lives of the tiniest felines. Here are some of our favorite transformations! Zuma was days old when we rescued her. 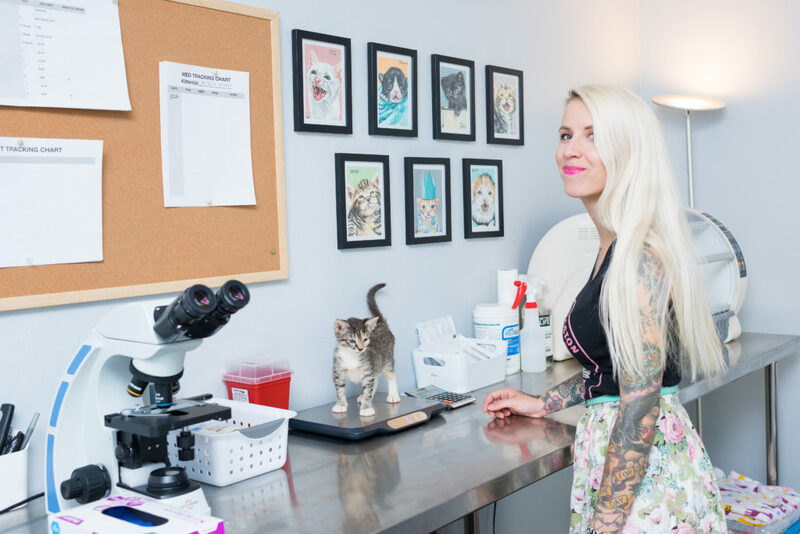 After a serious GI health scare that left her in critical condition, she spent numerous days in a specialty hospital and being treated in our nursery. She made a full recovery and was adopted with her best friend! Badger was found in an artist’s loft at just four hours old. Although the odds were stacked against him, he survived a host of medical issues and grew into a well-loved cat. 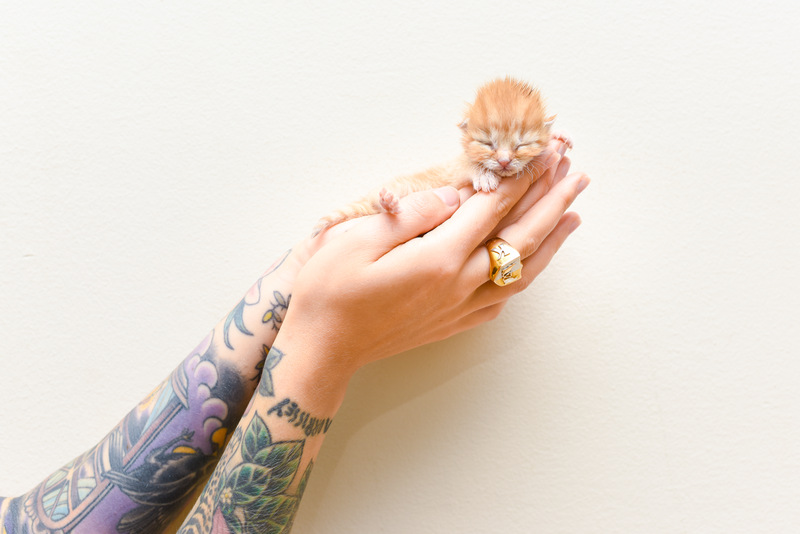 Hank was dropped off in a tissue box at just four days old. She battled with the deadly panleukopenia virus, and we fought for her day and night until she was fully recovered! Hank was adopted into a loving home along with her friend Kodiak, who we rescued from NYC. When we received a frantic request to help three tiny kittens found in a window well, we took action right away. Bee, the runt of her litter, was the smallest and most frail–but grew into a healthy, independent young cat before finding a loving forever home with her brother, Boomba. Soba was fading quickly when she was rescued from a New Jersey animal shelter. Suffering from dehydration, emaciation, and an umbilical hernia, Soba recovered over the course of several weeks and now lives a happy life with her sister, Harusame. Bearclaw was rescued from a Washington DC shelter after he was found outdoors at just 2 weeks old. While many neonatal kittens are euthanized in animal shelters, Bearclaw had an opportunity to grow up with the care he needed until he was independent enough for an adoptive family. Tidbit was just one day old when he was discovered abandoned outdoors. 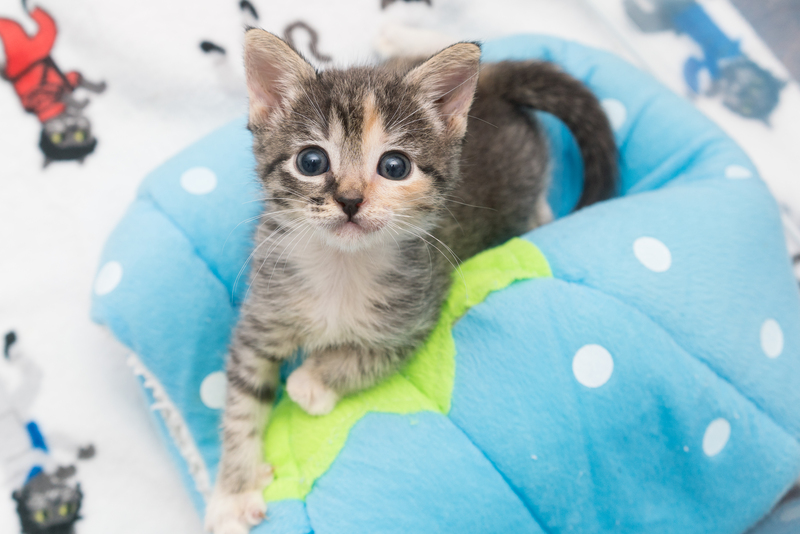 With no mother to raise him, Tidbit thrived with our specialized, around-the-clock care and was adopted into a loving home at eight weeks of age. The Spicies were rescued from a Philadelphia shelter when they were found alone outdoors on a winter day. Frank, Texas Pete, Valentina, Harissa, and Cholula all grew into healthy, adoptable animals in our nursery, and found their forever homes in DC. When we rescued Chloe, she was four weeks old and permanently paralyzed in her hind limbs. We worked tirelessly to provide her with the best physical therapy and medical care. She now lives a full and happy life gliding through the halls of her forever home!